Xander Carrasco is a sophomore at Buchanan, who plays club soccer for Clovis Crossfire. 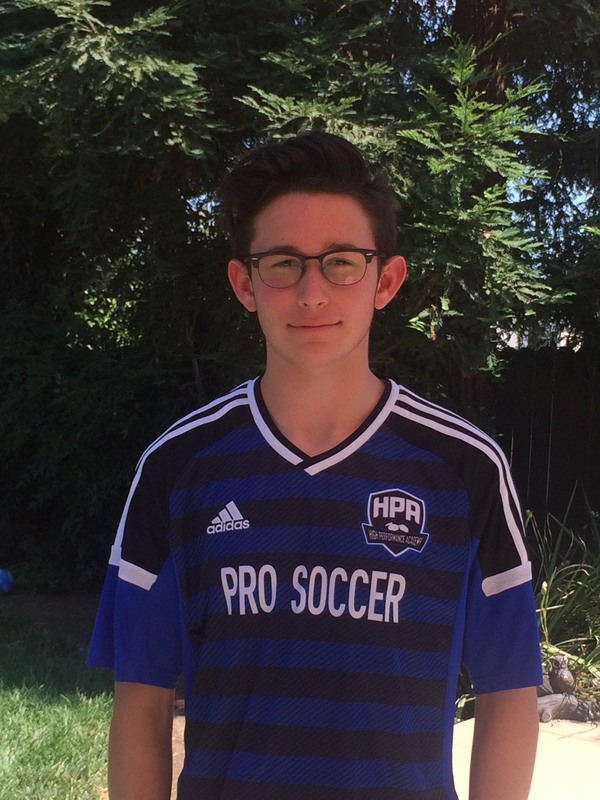 Xander is the captain of his club team and was also the Freshmen team captain last season at Buchanan. As part of the HPA Abroad Program, Xander traveled to Spain where he competed in the international Mare Nostrum tournament. He excels in the classroom, especially in biology where he earned the top score in his class. After graduation, Xander plans to pursue a career in science and physics. He is extremely active in his community by volunteering for fun 5k runs, as well as helping out with HPA camps and events. In his spare time, he loves to snow board, surf, and spend time with his siblings. The team at HPA are proud of all the hard work Xander has put in both on and off the field and are excited to continue to watch him progress!